Girl, You Are… became a phenomenon and sales success in 2015, receiving much delighted praise. 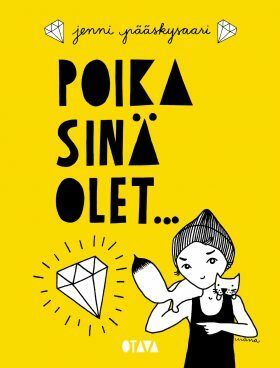 Now Pääskysaari has written a power book for boys. In addition to Pääskysaari’s encouraging writing, the book contains stories about boys and men and interviews. “Boy, you are unique! Brave! Loved!” A great small book that says all those things every boy in the world should get to hear.